They're going full out with their talents and they're all over the place right now. This is from Sandra Park's page. 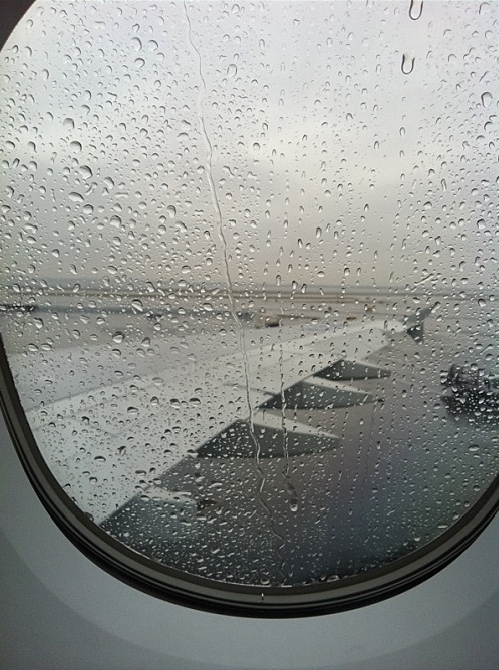 She put up a picture of the day she arrived in New York. Here they are, just to remind you. She was right about being the big part. They really swept their audience off their feet. 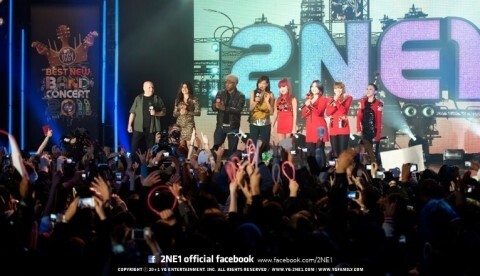 Just in their first show, they captured more than 2,000 new fans. 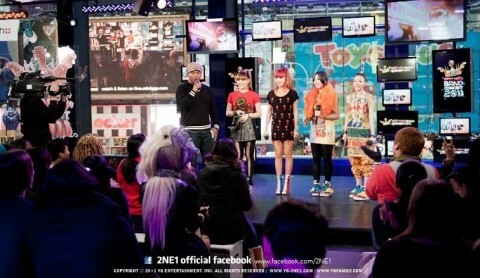 "k-pop" is new to world outside Korea. 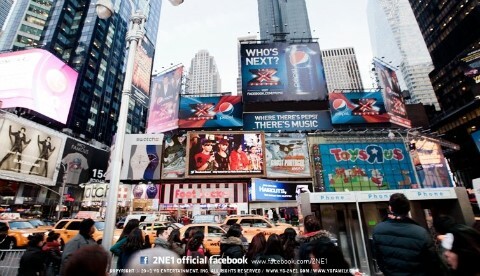 This is what it looked like when 2NE1 was up on Times Square. I'm really proud they made it to that point...! and pretend to be able to sing. I think this group is the only popular k-pop group that I do like. about how awesome they were and how badass they looked. Or just take a look at them. Like, you should know WHY they're doing so much better than others. The rest is MTV and New York Times Square! They really did a good job in this one. What are you guys thinking right now? stars like... no offense, Wonder Girls. 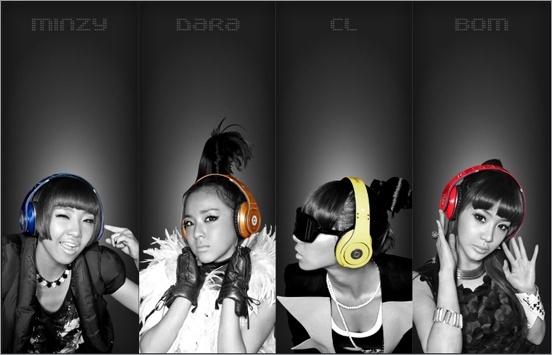 Or is 2NE1 kind of unique?